Aaron Bowers is an Advertising & Marketing specialist with over 30 years experience working with diverse companies from local non-profits to the CBS Television Network. 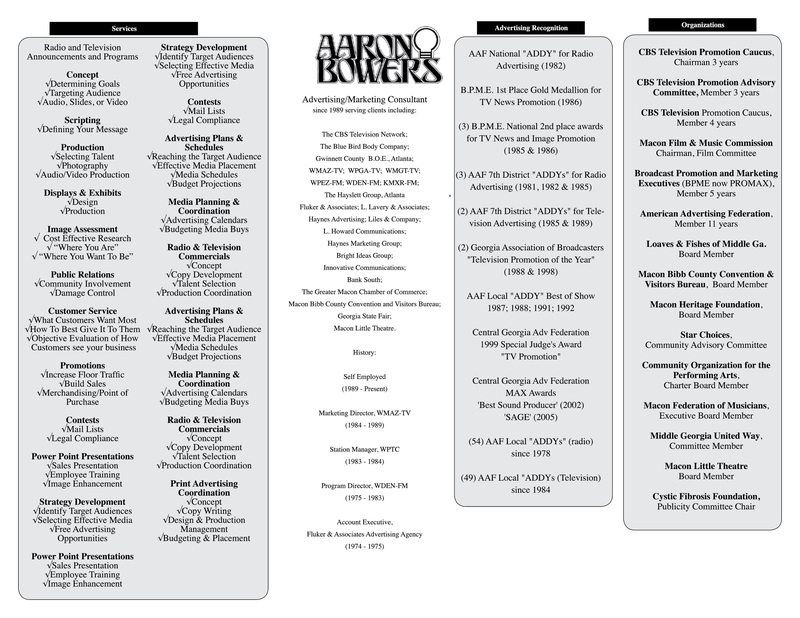 National award-winning radio & television commercials and promotional announcements have been produced by Aaron Bowers. Digital audio production and voice work for Television and Radio; industrial, training and documentary films and presentations.-Script and text writing for print, Television and Radio advertising; industrial, training and documentary films and sales presentations. Aaron Bowers also creates hand painted Civil War Military Miniatures. 25mm and 54mm figures also available unpainted and custom designed. Helpful books and publications written by Aaron Bowers. Aaron Bowers is also available for meetings, seminars or lectures. ©2007 Copyright Aaron Bowers. All Rights Reserved. My hand painted civil war figures are made to be realistic representations of soldiers in the War between the States. They are molded from high quality soft lead; individually sculpted to give each its own unique character or attitude, and then hand painted with as many as 14 different colors. 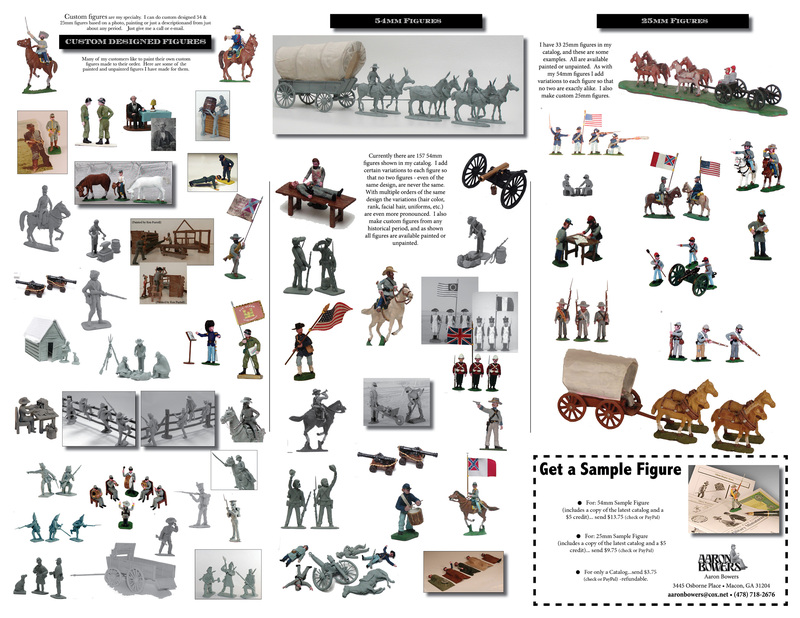 Each civil war miniature is often "dirtied up" a bit using an almost clear wash to add an authentic look.